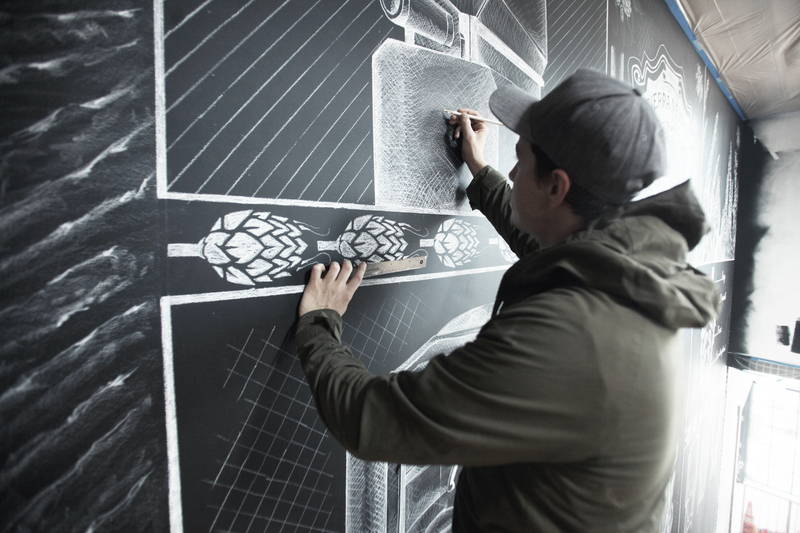 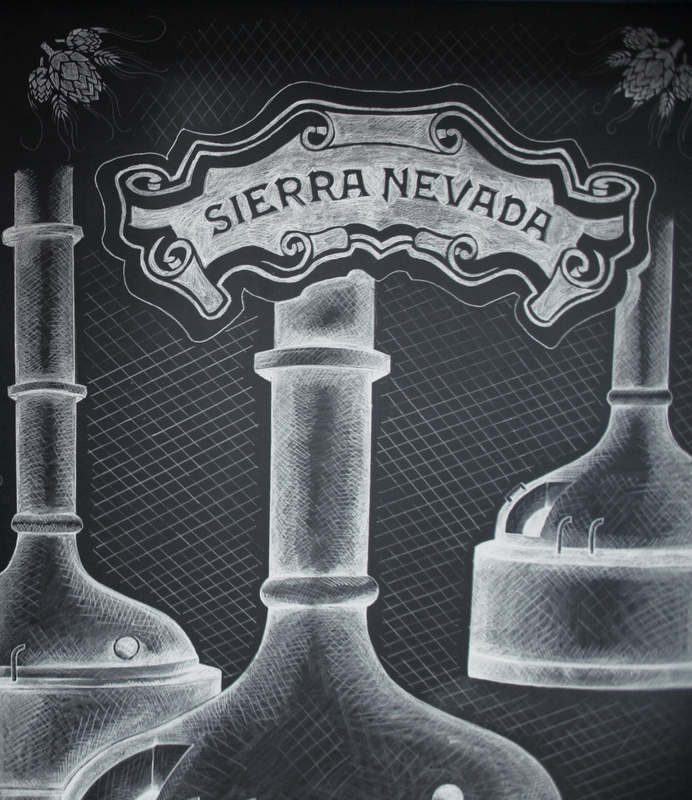 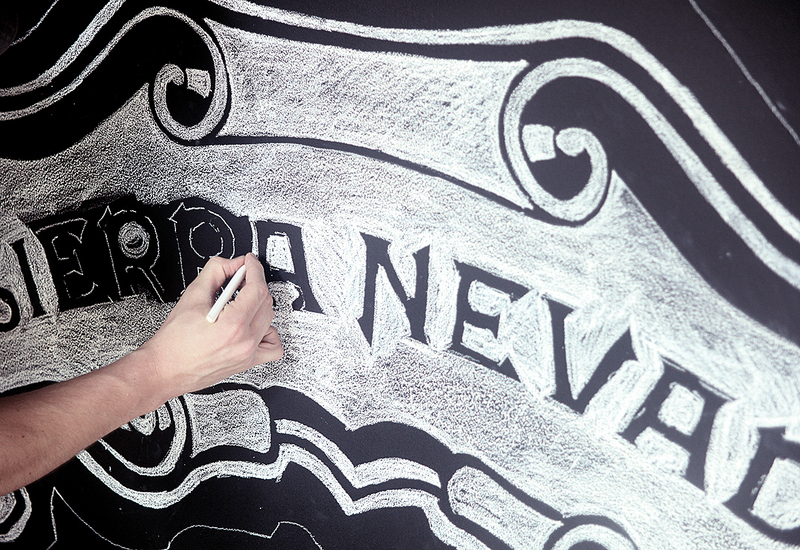 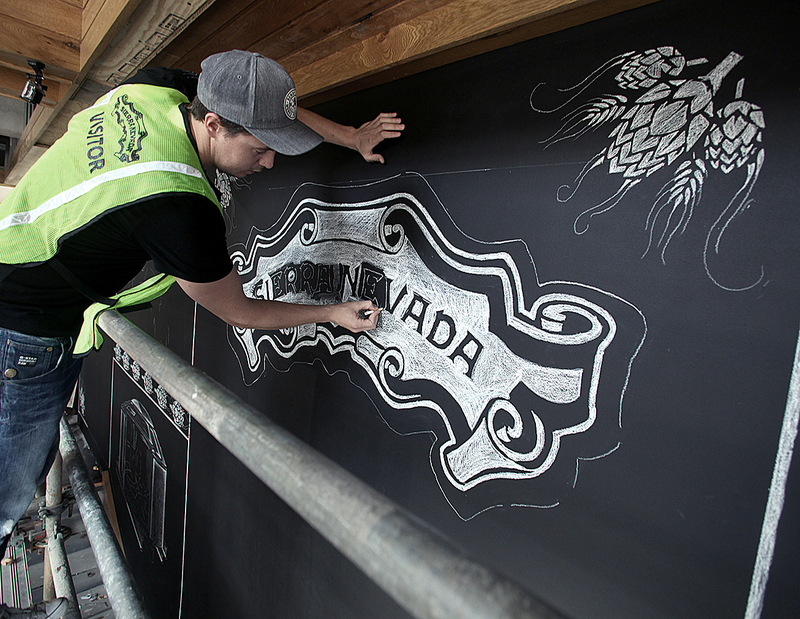 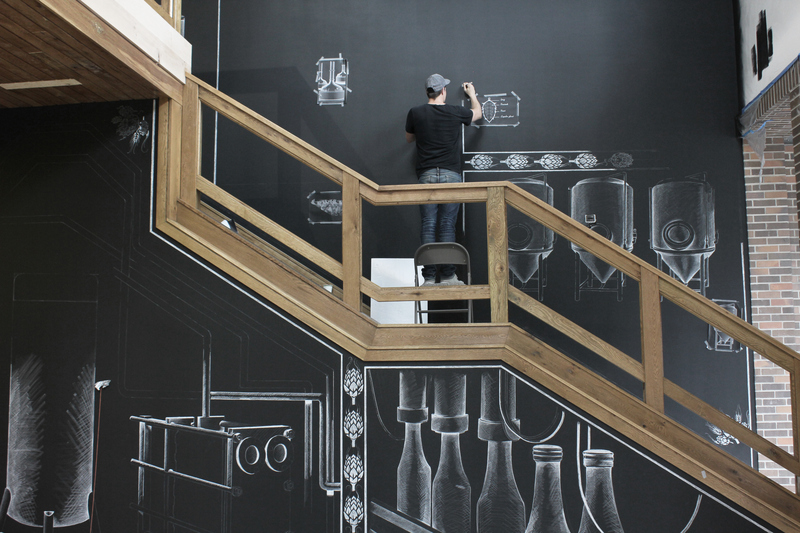 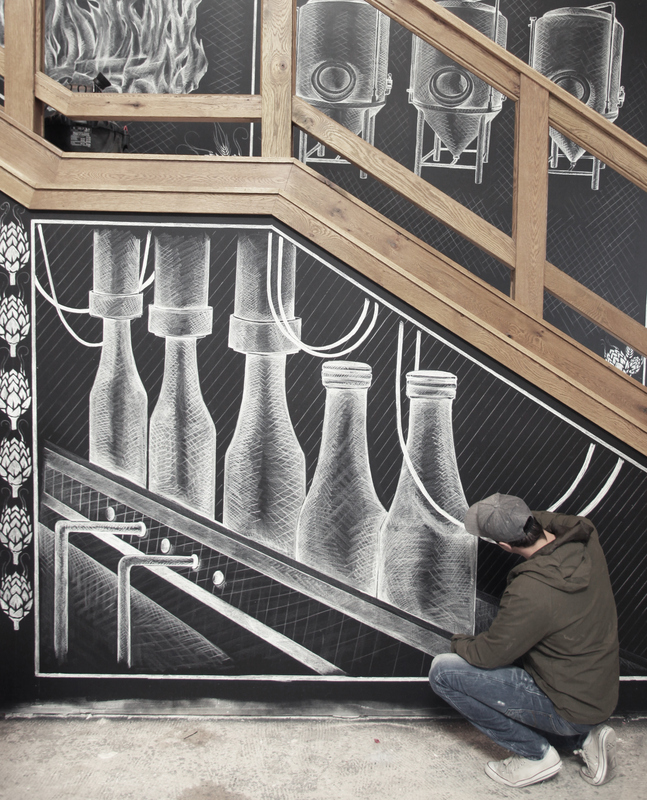 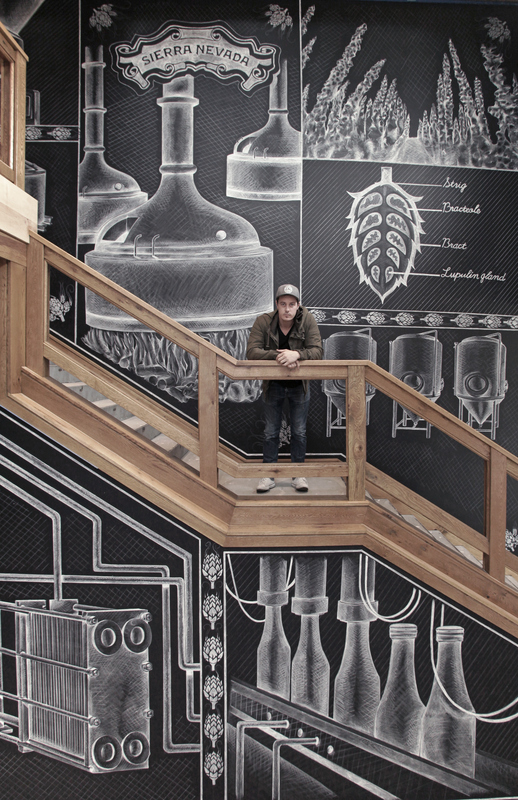 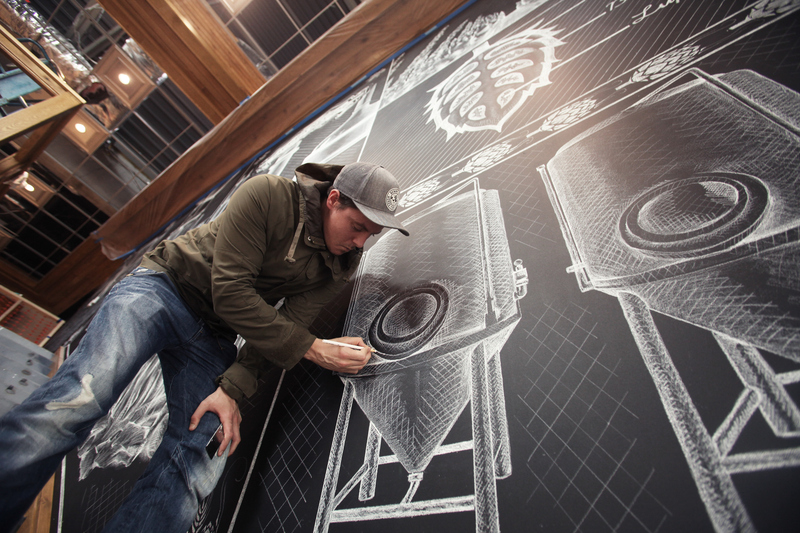 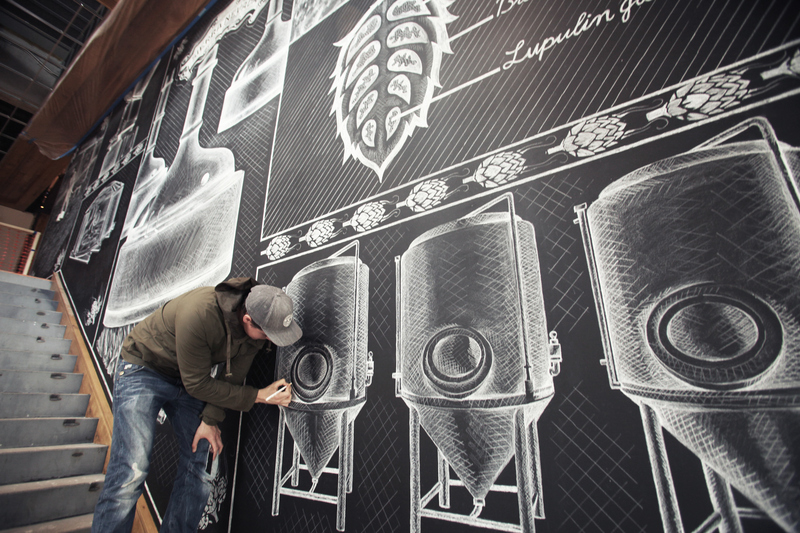 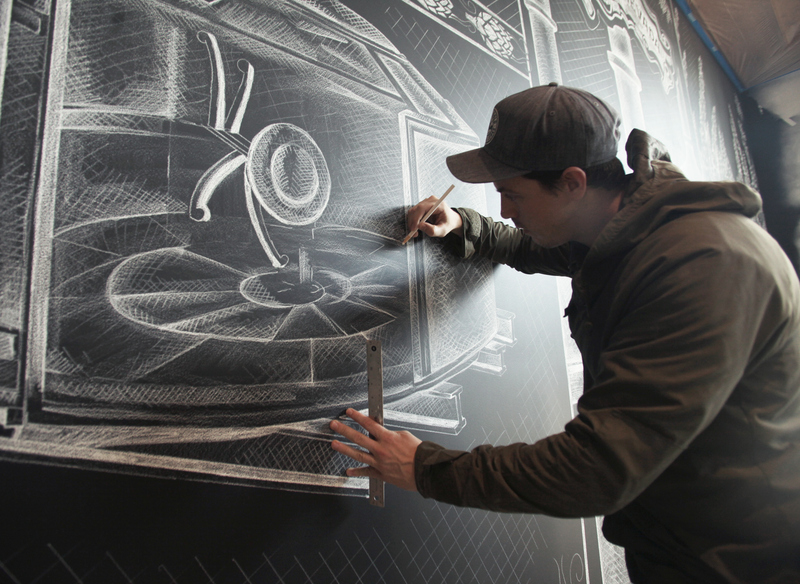 I was commisioned to create a mural for the new Sierra Nevada brewery in Asheville, North Carolina. 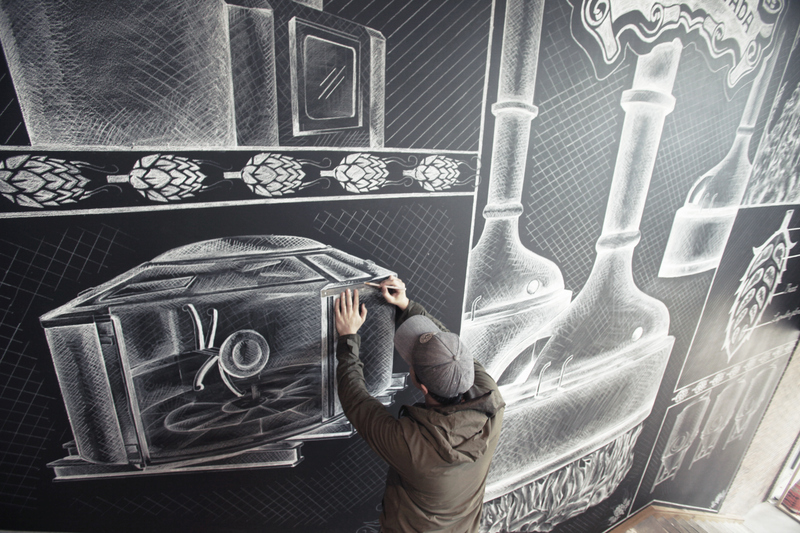 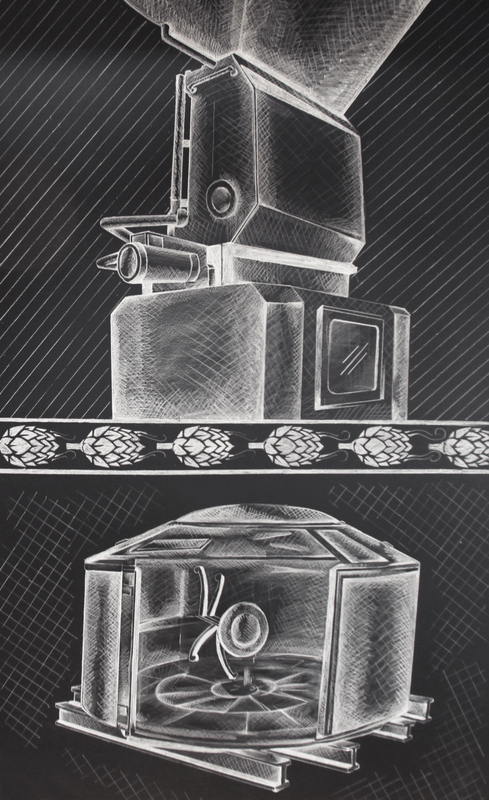 It was created over 3 weeks and showed the process of beer making. 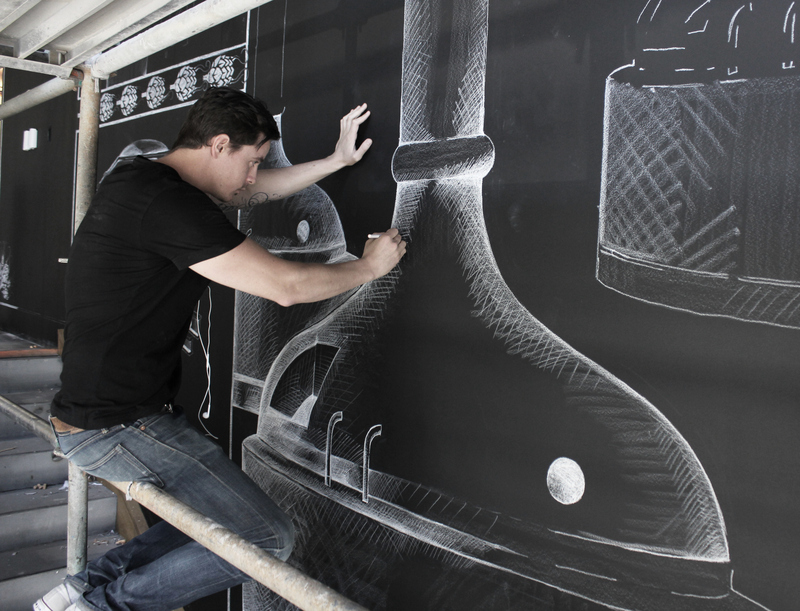 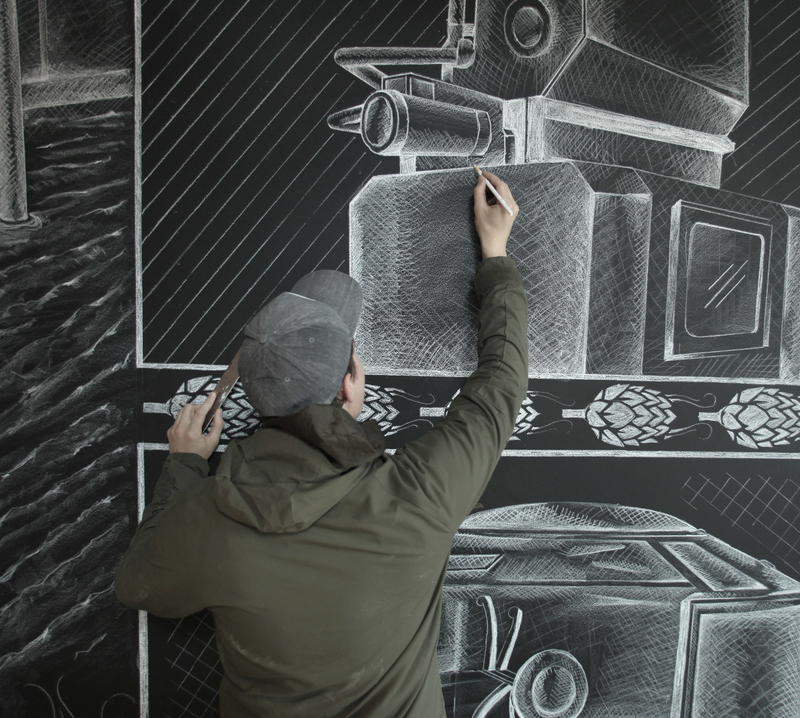 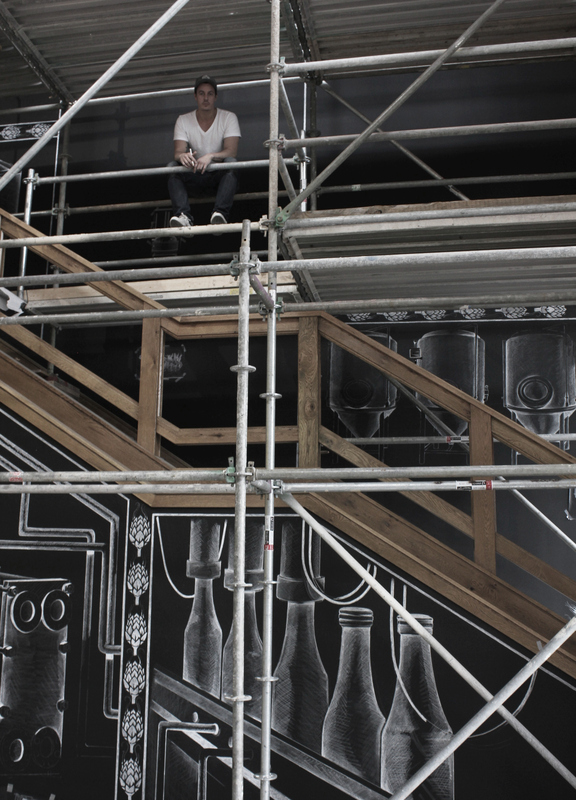 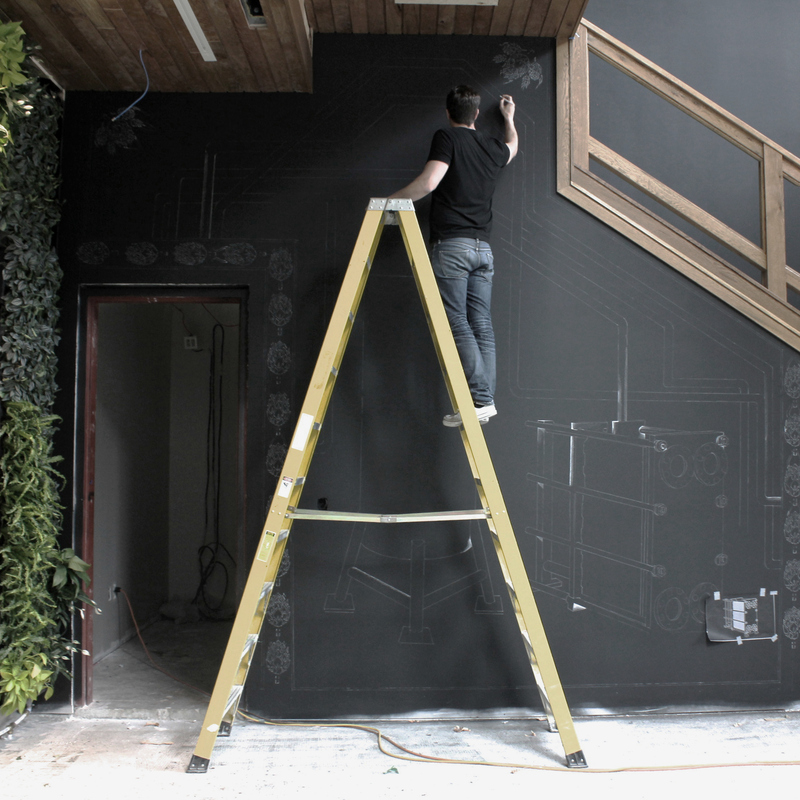 The size of the mural was 1600 sq ft and created using only Sharpie China Markers with the aid of scaffolding.